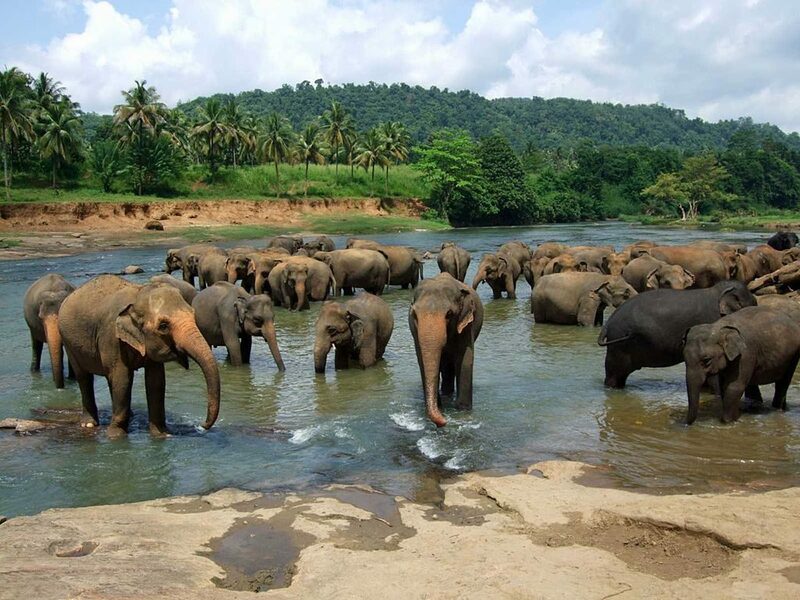 Sri Lanka is truly a land of wonder. 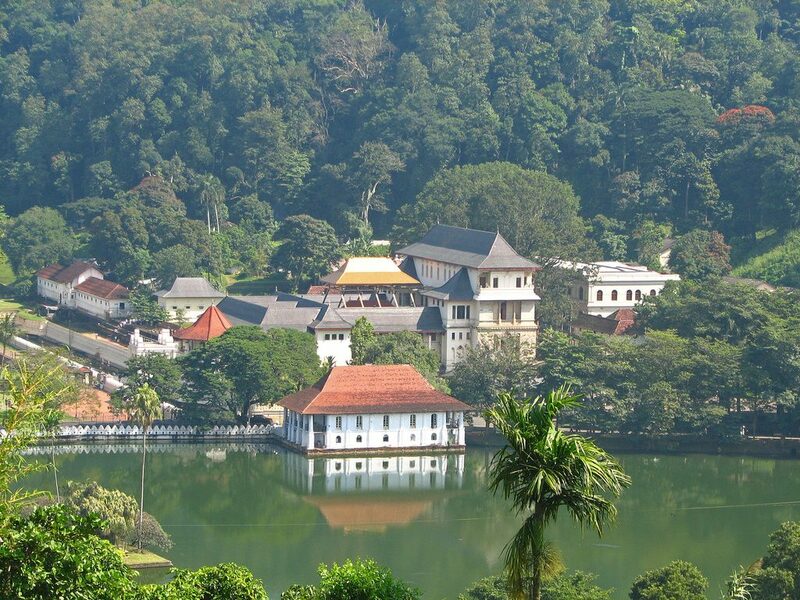 From resplendent beaches, abundant wildlife and rolling hills to a plethora of ancient monasteries and historical sites to discover, Sri Lanka has something for everyone. Here is a list of just 10 must-see attractions to get you started on a trip to this magical land. 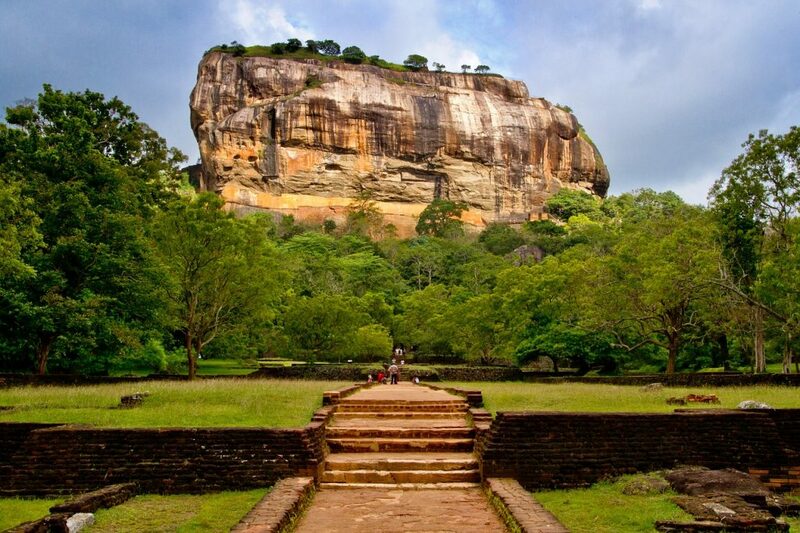 Sigiriya (‘Lion Rock’) is an ancient citadel built atop a rock, named for the large lion paws flanking the entrance to the palace. Built by King Kashyapa in the late 5th century, who usurped the throne from his father, this pleasure palace was built on top of this fortified rock in fear of the return of the rightful heir to the throne, his brother, Prince Moggallana. With sprawling, immaculately designed gardens, colorful frescoes and brilliant architecture that baffles even the most sophisticated engineers today, Sigiriya has been named as a UNESCO World Heritage site and is often referred to as the Eighth Wonder of the World. 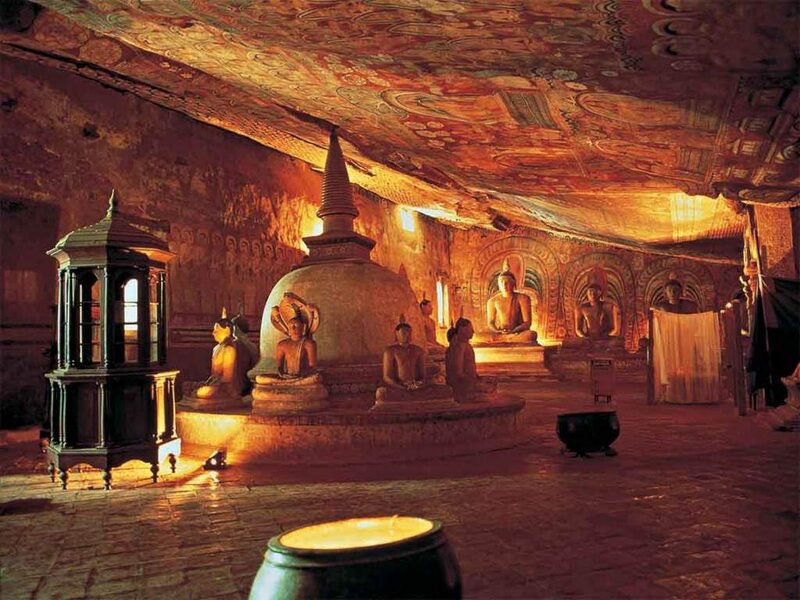 See mystic caves adorned with alluring frescoes and elaborately carved statues at the ancient Dambulla Cave Temple, featuring over 150 stunning Buddha statues and religious artworks created over 2,000 years ago and beautifully preserved. 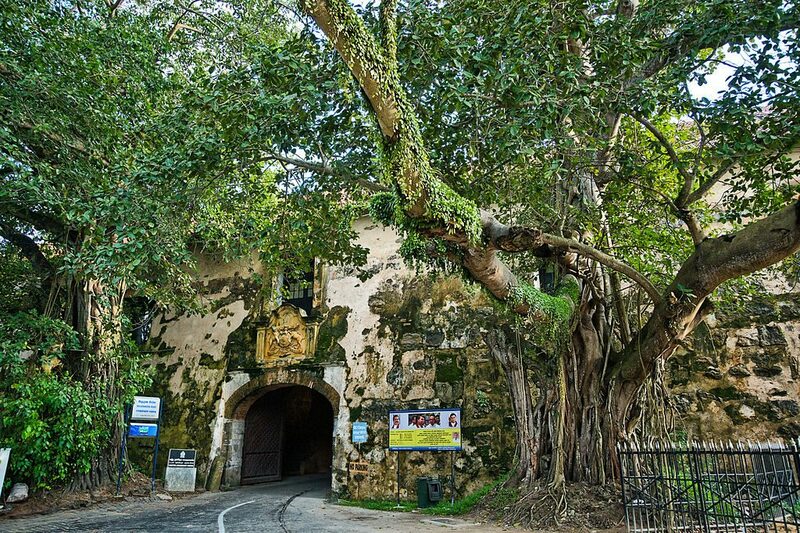 Various kings have contributed to this magnificence over the centuries, and King Nissanka Malla had the cave interiors gilded – thus earning the temple earned its name, Rangiri Dambulu (Golden Temple of Dambulla), now a UNESCO World Heritage site. Buddhists believe that it is the footprint of the Lord Buddha; Christians believe that it’s Adam’s footprint after he was expelled from Eden; Hindus believe that it belongs to Lord Shiva that adorns its misty peak. Whatever the case, this beautiful mountain peak had been a pilgrimage site for more than 2,000 years and is famous for its magnificent sunrises. 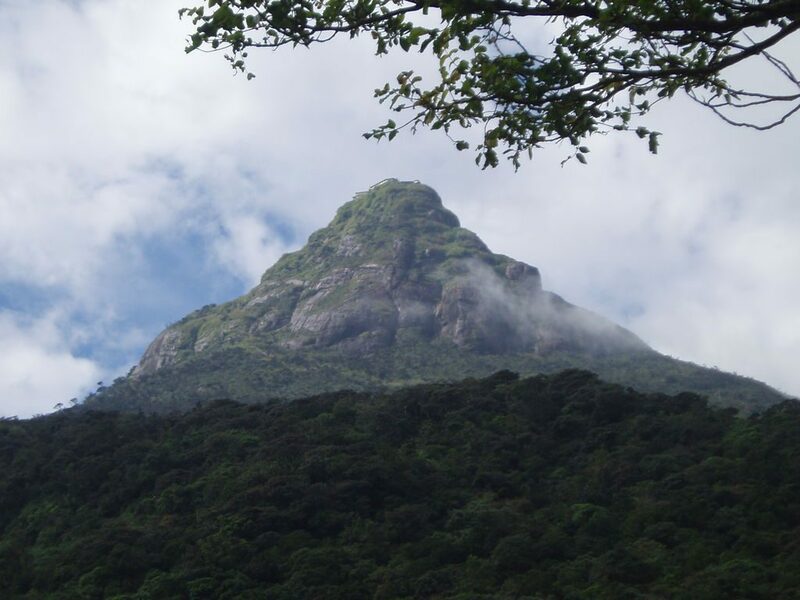 The best time to climb Adam’s Peak is between December and May. 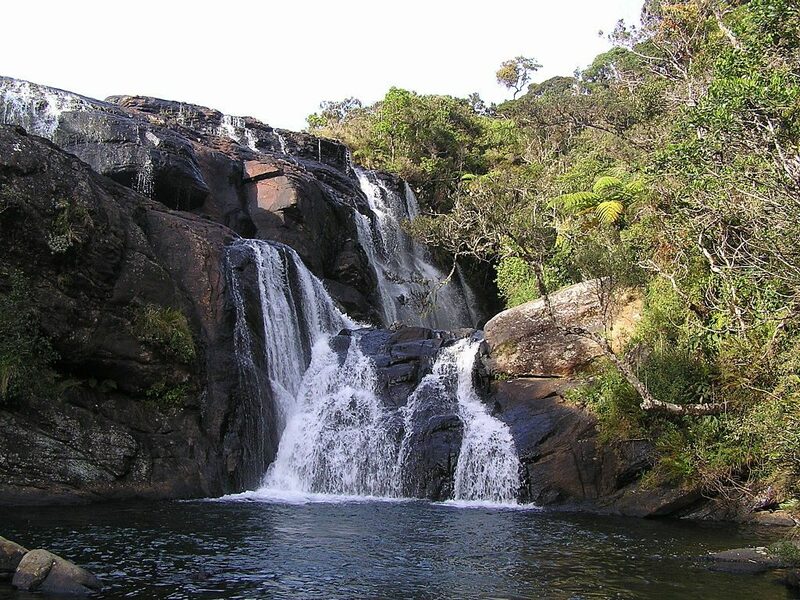 Cascading waterfalls and sprawling plains stretching out for as far as the eye can see, the Horton Plains National Park is a strange and beautiful world that provides excellent hiking opportunities. 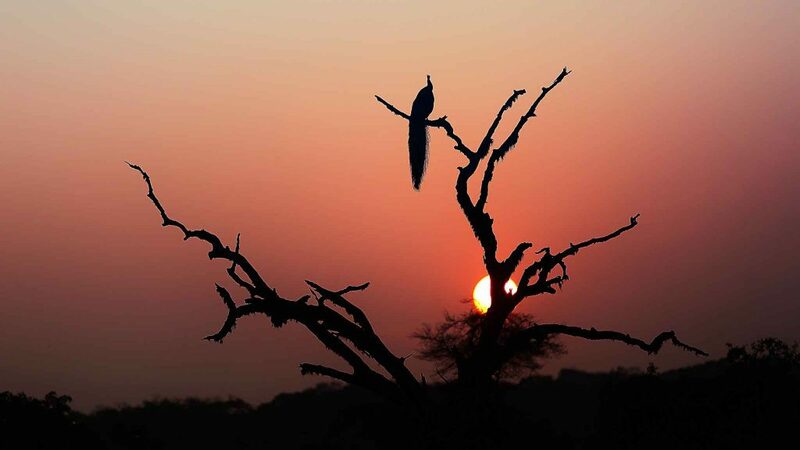 The scenic landscape is rivaled only by its diverse wildlife and abundance of flora, most of which are native to Sri Lanka. The Diyaluma Falls, cascading down to the Koslanda Plateau in the Koslanda-Welawaya road, provide a spectacular sight for all who see it. 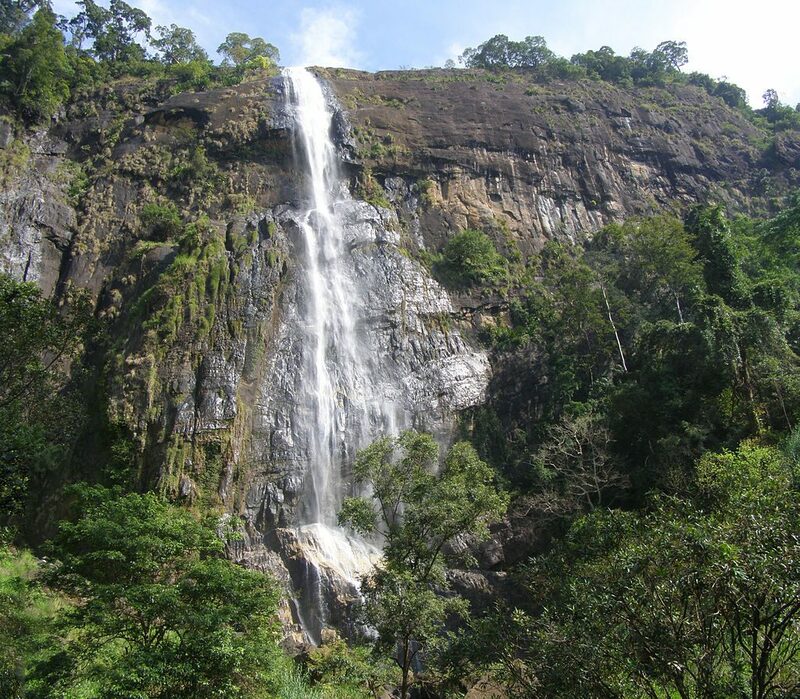 Much local folklore surrounds this mystic waterfall in the Badulla District, increasing its allure even more. 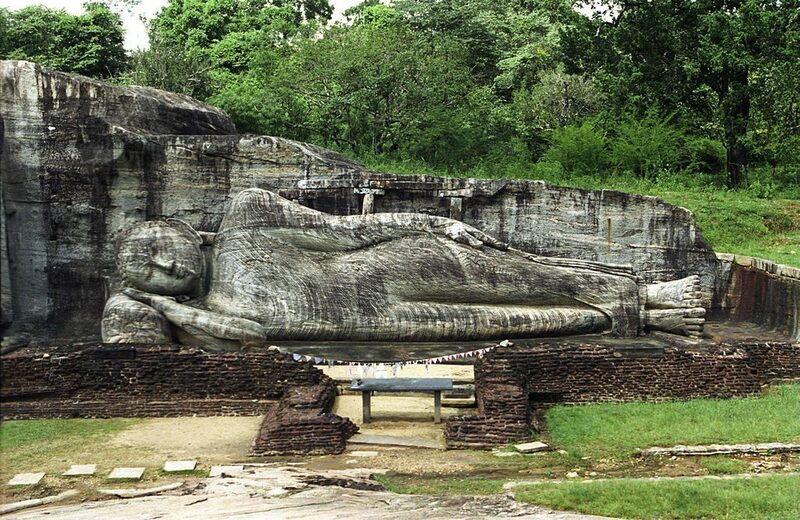 The Gal Viharaya (‘Stone Temple’ in Sinhalese) in Polonnaruwa (a splendid UNESCO World Heritage site) houses the most perfect specimen of Buddha statues hewn out of solid stone. Four caves in total house a unique Buddha statue each. This temple was built during the reign of King Parakrabahu and remains one of the finest examples of stone carvings in Sri Lanka.